I had to wait almost 2 weeks to go see the new Star Wars, because of course it was released in the UK the day before my flight home for Christmas, and as much as I’m a Star Wars fan, I wasn’t going to dump the family to go see it over the festive season. So I waited until January 1st and man, it was worth waiting for. The screen was almost full, but not quite, and I didn’t have to queue before getting in. Obviously, I’m not going to give too much away, because I want you to go see the movie and figure it out for yourself. But after checking on various sites, I’m choosing to give away just enough so you won’t be totally clueless. 30 years after Episode VI, the galaxy is still living in tumultuous times. 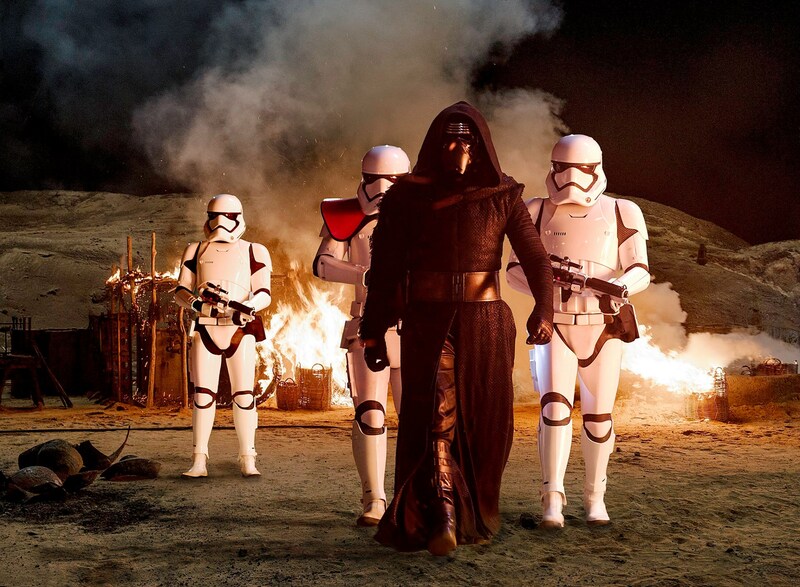 The New Order, taking over from the Empire, is the new bad in town. Using Stormtroopers and a wannabe-Sith Lord, they plan on destroying the Resistance, led by the ever-resourceful Leia Organa . 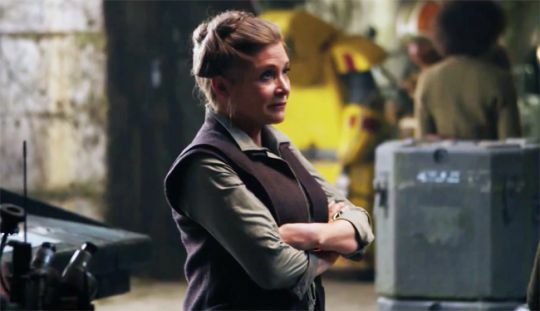 Sending her best pilot, Poe Cameron (Oscar Isaac), Leia plans to get some vital information out of a former ally. 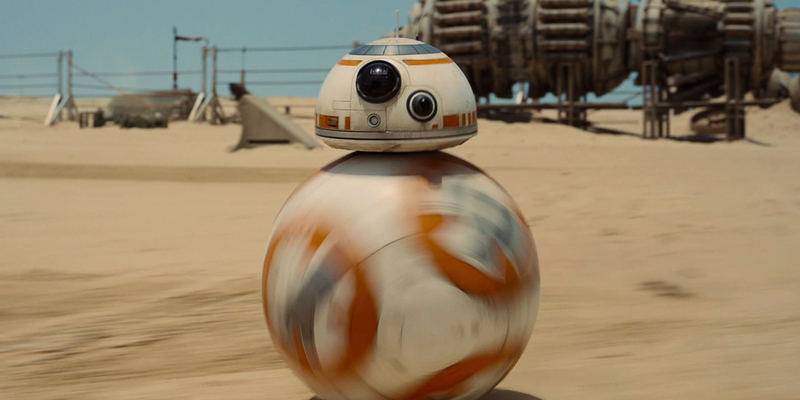 When Poe finds himself imprisoned by the New Order, he gives the information to his trusted droid, BB-8. 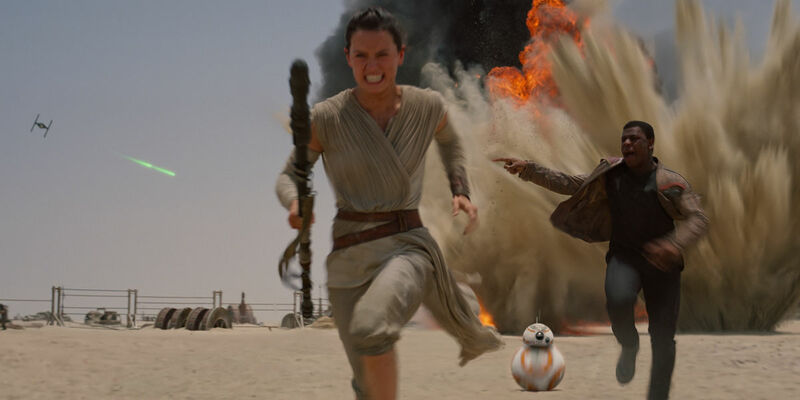 Alone and at the mercy of scavengers, BB-8 meets Rey (Daisy Ridley), who decides to help him instead of selling him for food. 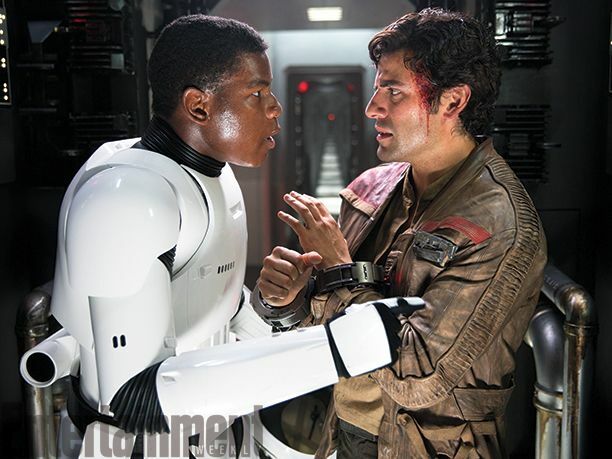 When they cross paths with Finn (John Boyega), a former Stormtrooper with a conscience, Rey and BB-8 must make the decision to trust this stranger who might be of help to them. I’ve talked to quite a few people now, and it seems that they’re split into two categories. Those who loved it, and those who didn’t. Kind of like Marmite. Personally, I thought it was AMAZING. It was just like episodes 4-6, the humour, the realness of it all. No more boring federation talks, Jar-Jar Binks or green screen action. There was sand, there was snow, there was sweat and tears. As usual, Star Wars used little-known actors (except of course for the oldies but goodies) and that’s what gives is an extra charm. Daisy Ridley is adorable and you like her on sight. Oscar Isaac is just phwoar, so that’s a plus. It’s lovely seeing Ford, Hamill and Fisher again, a bit like welcoming back an old friend. Tags: bb8, c3p0, carrie fisher, daisy ridley, Episode, finn, Force awakens, han solo, harrison ford, john boyega, leia organa, luke skywalker, mark hamill, oscar isaacs, poe, r2d2, rey, Star Wars. Bookmark the permalink.